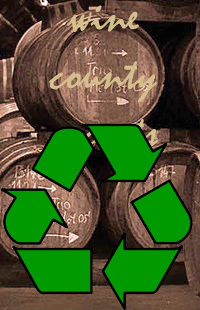 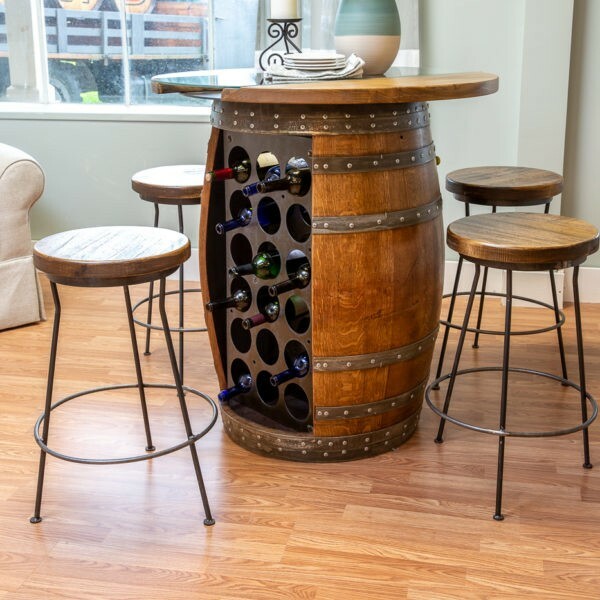 Wine Barrel Storage Table is a one of a kind with modern and industrial influences. 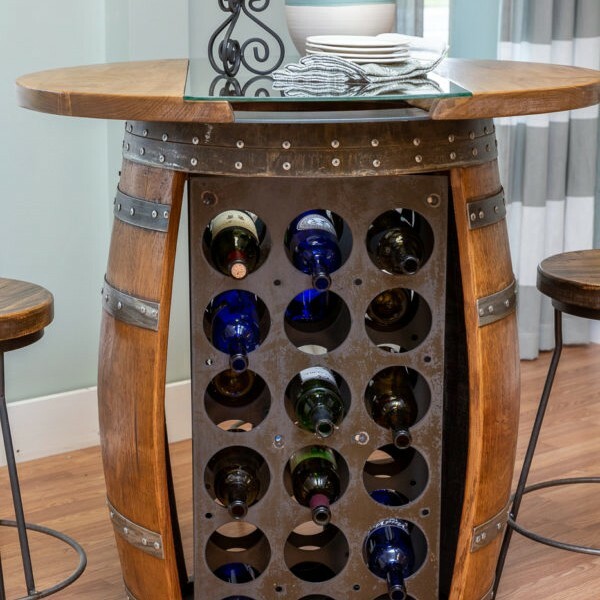 Reclaimed French oak wine barrel transformed into a 36 bottle wine rack table base with a live edge hardwood top secured to a solid steel base with hand cut rounded edge glass center. 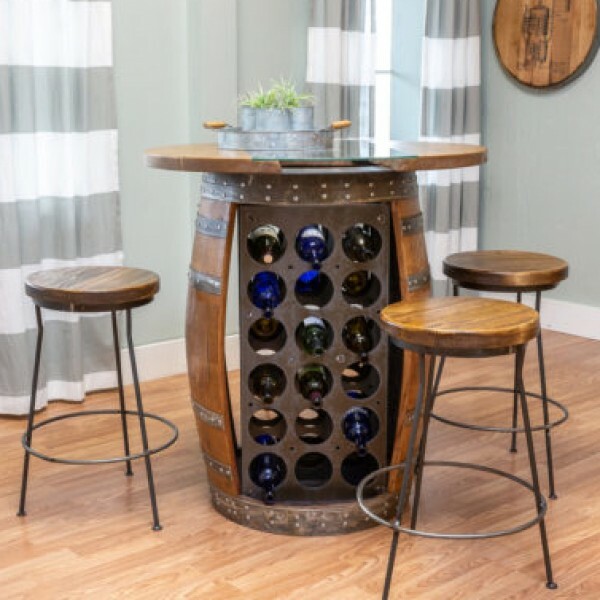 Hand welded finished steel internal bottle wine rack included. Comes assembled. 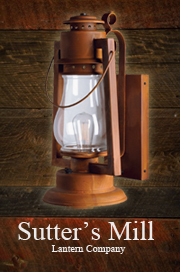 One of a kind look with modern and industrial influences. 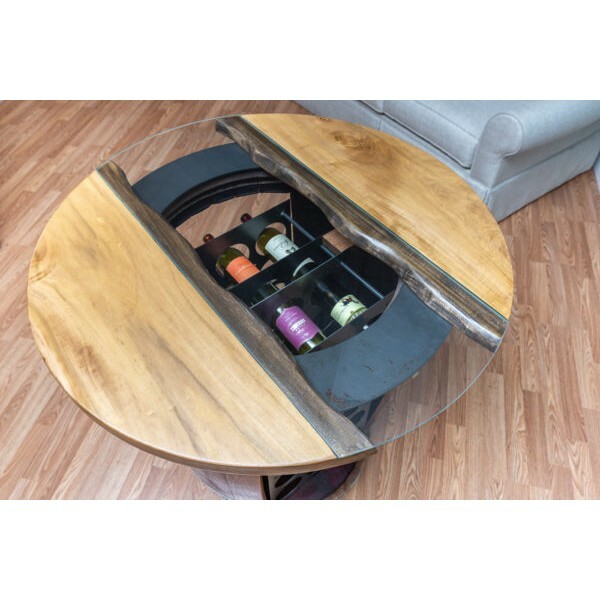 Reclaimed French oak wine barrel transformed into a 36 bottle wine rack table base with a live edge hardwood top secured to a solid steel base with hand cut rounded edge glass center.